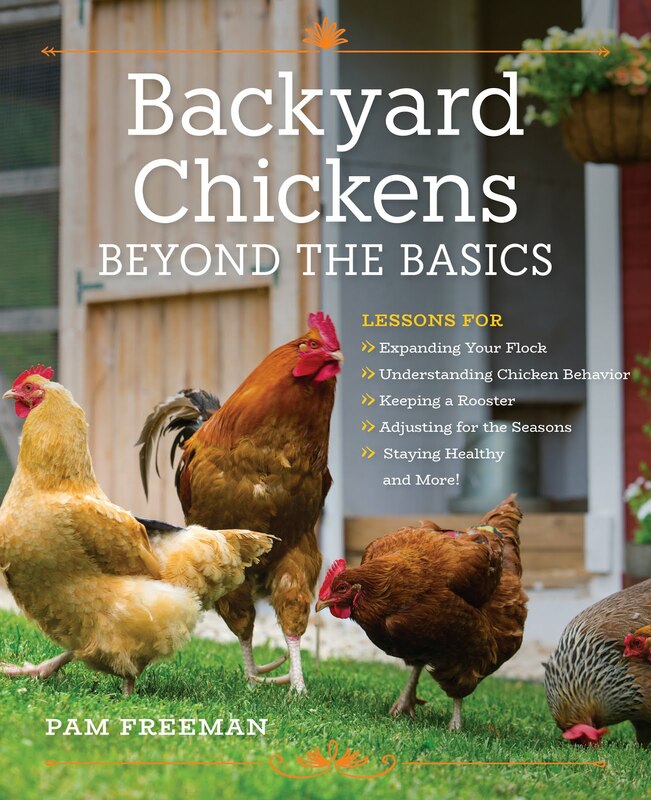 Pam's Backyard Chickens: Our Baby Chicks Are Here! Our Baby Chicks Are Here! Our baby chicks have arrived! As a group effort, we picked up the chicks at our local hatchery yesterday; grandma and grandpa even came to greet the new arrivals. After giving the hatchery staff our name, we all stood at the door with faces plastered against the window in anticipation. Through the window, we could see all the workers putting brown eggs onto trays that went into big stainless steel tiered carts. And then, through all the commotion, came a nice young lady with our box. Our first look at the new chicks; cozy in their box for the ride home. I have to say, the first thing we noticed was how cute the chicks were. Then I started counting and noticed there was one extra. This is something to remember when ordering directly from a hatchery; they often include an extra chick just in case. So make sure you've got digs that accommodate your extra new family member! We then asked the staffer to tell us who was who since six of them look similar. It amazed all of us that the staffer could pick up three chicks in her fingers with no problem. In her case, practice definitely made perfect. 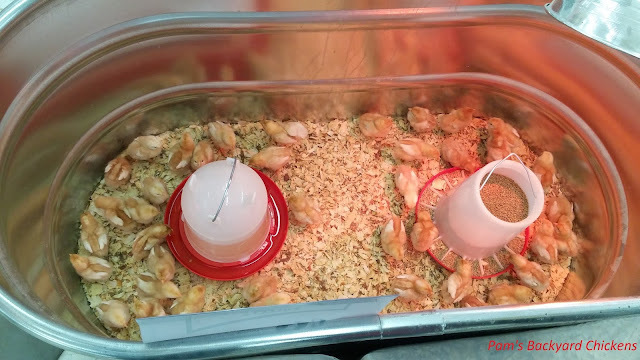 Once home, we heated up the brooder and then put each chick in one at a time. You have to remember, that you are your chicks' mother and you have to teach them to drink. So, I took each chick out of the shipping box and gently tipped its beak once into the water and once into the food. The chicks at home in their brooder. A protective screen keeps our house cats away. We've got the brooder at "sauna" temperature - 95 degrees - and the chicks seem comfortable. They are all up and moving around and they've been drinking and eating. They also love to stretch out their tiny hind legs and wings and lay prone on the bedding and take a nap. Invariably though, once one gets comfortable, another will burst on to the scene and wake it up. It's all pretty cute. Check out that egg tooth! Pretty cool! I've got to go look in on the chicks now, but be sure to check back for more chick updates!